DermaPen is the world’s most advanced fractional micro-needling device that provides clients with a more effective, minimally invasive skin treatment option that stimulates collagen and elastin as well as promotes greater product absorption to tighten, lift and rejuvenate the skin. It is also highly effective in softening the appearance of acne scars. Skin needling is a very effective treatment to promote the natural release of the skins collagen and elastin fibroblasts for amazing anti-ageing benefits. As we age, the natural production of the skin’s supporting cells, fibroblasts and the skin’s collagen and elastin naturally diminish leading to wrinkles, sagging and hollows. Stimulating the skin to produce more fibroblasts, collagen and elastin is called collagen induction therapy and is used as an alternative to face lifts and other surgical anti ageing intervention. It is a newer procedure, but one that quickly gained popularity, extremely safe when performed by a professionally trained technician. 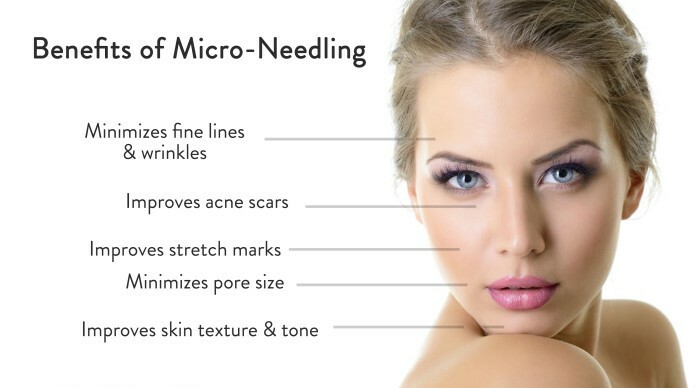 Skin needling involves making ‘micro injuries’ to the skin with very fine needles. These injuries prompt the skin to go into healing mode, which includes the release of collagen, elastin and the stimulation of new supporting skin cells, fibroblasts. This reduces the signs of ageing, like sagging, wrinkles, hollows and uneven skin tone. 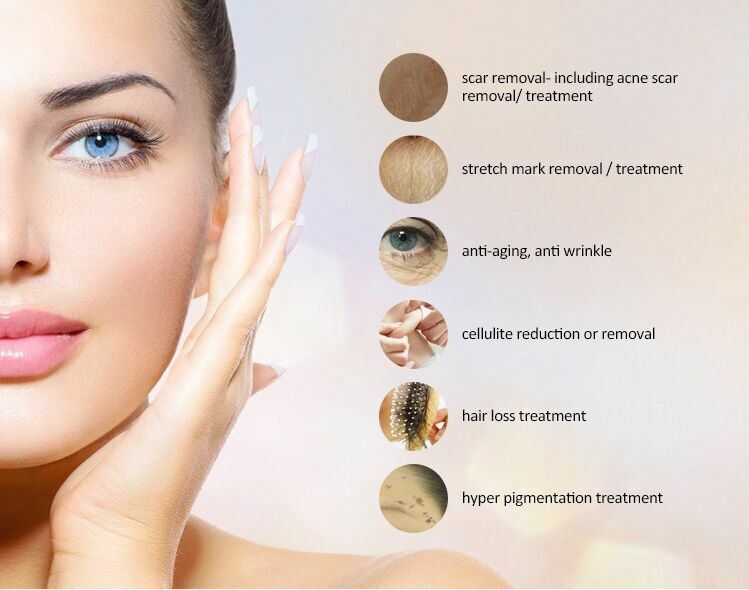 The new DermaPen gives amazing results with less damage, and therefore less pain and recovery time. It’s micro needles penetrate vertically to improve the effectiveness of the treatment with an automatic vibrating function to reduce discomfort. 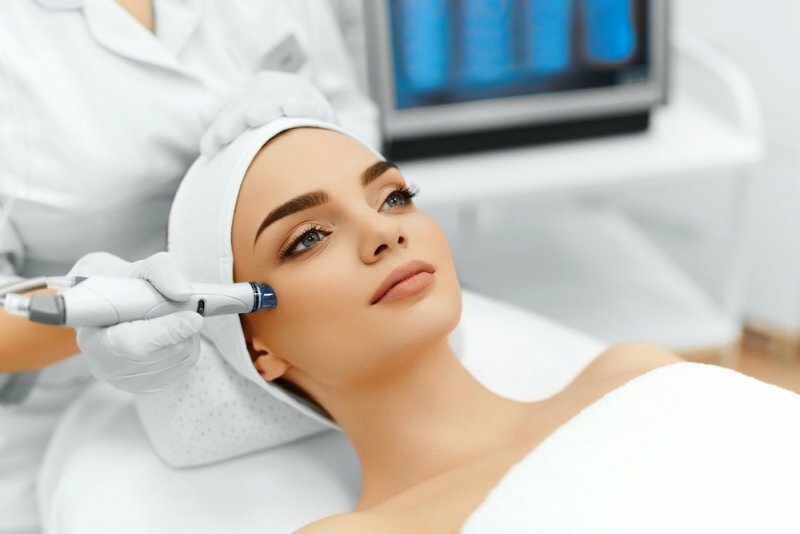 This type of skin needling collagen induction therapy can be used for skin tightening, lifting and rejuvenation, acne scars and wound healing, improvement in wrinkles and fine lines and to minimise pore size. Intense ultrasound micro-massage to penetrate deep below the surface of the skin promoting cellular renewal and repair, toning muscles, increasing blood circulation, combating puffiness and improving skin care product penetration. 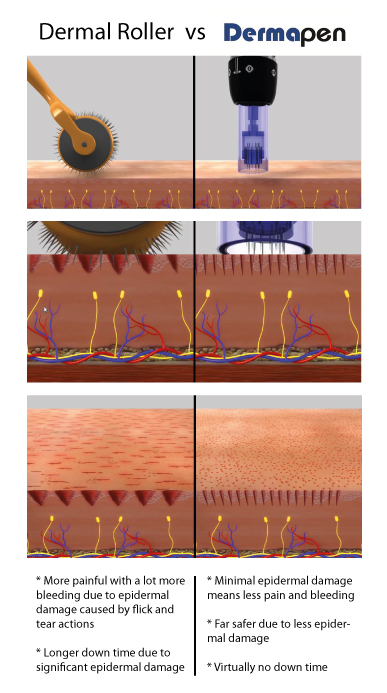 So when is it not appropriate to have skin needling? If you suffer from any of the conditions listed are not good candidates for skin needling treatments : keloid scarring, haemophilia or other blood disorders, skin conditions, if you are taking anticoagulants or corticosteroids, if you are pregnant or breastfeeding, if you have active acne, active cold sores, active shingles or chicken pox, if you just had invasive skin laser treatment, just had Botox, dermal fillers or other injectables , if you just had facial surgery or have new scars or if you are in poor health. 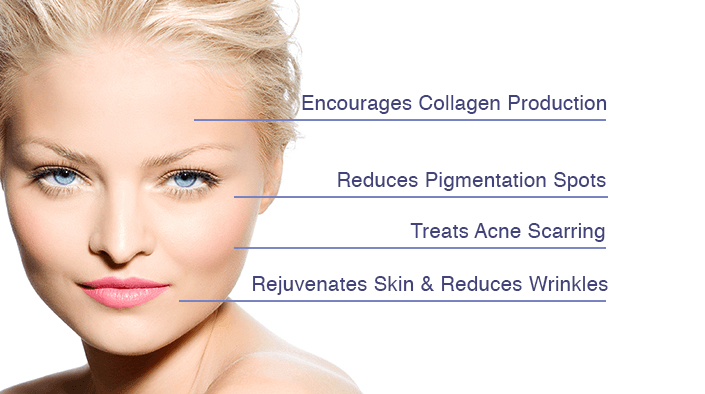 How many DermaPen treatments are required? Although even a single treatment of DermaPen Skin Needling will leave you noticing the difference immediately, for the best results you should consider multiple treatments. For best results, we recommend 3–6 Dermapen treatments. These should be spaced 3–6 weeks apart. If you want to treat the extreme sun damage, deep wrinkles or scars, you will have to go for 6 or more microneedling treatments. After this, we recommend single maintenance sessions every 6–12 months. How should I care for my skin after a DermaPen microneedling treatment ? Patients can expect some mild redness and swelling directly after treatment, and the skin might feel dry and tight for the first one to three days following the procedure. Wash the face thoroughly a few hours after your Dermapen treatment. Gently massage the face with tepid water (a shower can provide an easier way to massage the face while washing at the same time), and remove all serum and other debris such as dried blood. This will improve the appearance of the skin and also allow for better subsequent absorption of any post-session topical. Mineral makeup may be applied the following day. For the first 1-3 days, the skin will may feel dry and tight. Use of a post-session topical healing cream will help alleviate this as well as moisturise. After 3-5 days patients can return to regular skin care products or as soon as it is comfortable to do so. Avoid direct sun exposure for at least 10 days if possible. 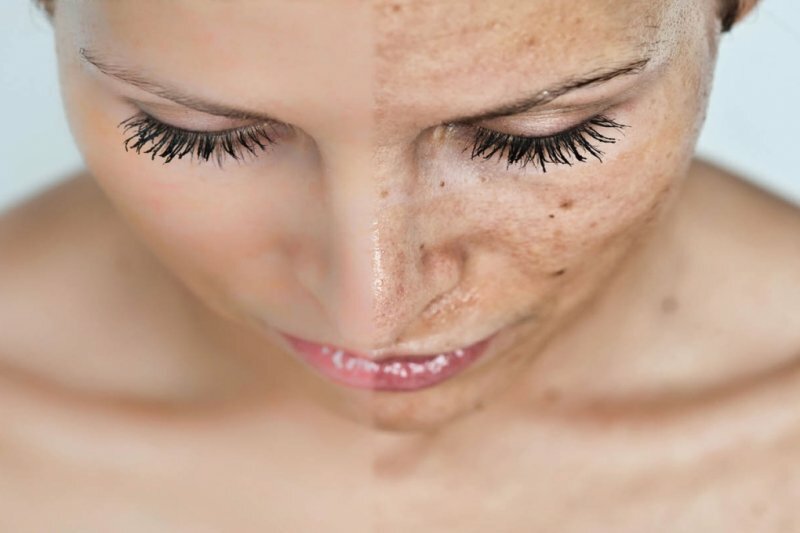 Do not apply chemical sunscreen the same day as the Dermapen treatment. What downtime to expect after a DermaPen treatment? Day 1: There is redness and very minimal bleeding. You will look slightly sunburned for 24 hours following the treatment. Severity of erythema will depend on the sensitivity of your skin. Day 2: A red or pink hue persists, similar to a moderate sunburn. Very mild swelling may be noticeable on the second day. Day 3: Skin can be pink or simply remain normal in colour. Your practitioner will recommend a post-session topical and skin care regimen after the session to help soothe, calm and protect the skin. Continue to use for at least 3 days. Active skincare regimen can be resumed again after day 3.